Welcome to Benchmarq Training – one of the UK’s longest running CAD training providers. 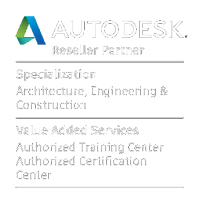 With over 10 years’ experience in the CAD training industry, we have gained a reputation for offering the highest quality, certified training courses for both organisations and individuals. All of our trainers are industry experts, certified instructors and most importantly, passionate about what they do. Working with a broad range of large and small organisations, including local authorities and private companies, Benchmarq assists hundreds of customers every year offering public and bespoke courses to suit your particular requirements. We want our training to have a positive impact on your organisation both at a business and individual level. We listen to our client’s requirements and constantly update our courses, so that we provide training on relevant and current best practice workflows. Our training classes are small, hands-on and taught as interactive workshop style courses (with plenty of opportunity to ask questions). We find many people will start out trying to teach themselves, however, books, DVDs and YouTube have their place but they are no substitute to learning from instructors with years of experience in their respective disciplines and a deep understanding of how to apply workflows and techniques. Once sitting on a training course with us, you’ll notice the difference. We love sharing our CAD expertise and we want to help you. If you’ve got any questions head over to our contact page.